Whether you want to enhance the appeal of your outdoor space or you’re looking for the perfect enclosure from weather elements, Mount Holly awnings are perfect to cover your patio, pool, or the front door to your business. Residential and commercial awnings have one thing in common: they need to be cleaned on a regular basis in order to protect the curb appeal of your home or project a good image for your business. Have you noticed your Mount Holly awning could benefit from a wash? Not all awnings in Mount Holly that look worn, weathered or dirty need to be replaced. 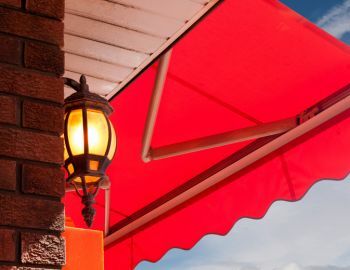 Because of the many purposes of awnings, they can take a beating over time from weather, such as heat and UV rays from the sun, rain and heavy winds. Properly maintaining a great looking, clean Mount Holly awning is important for its life expectancy. Not just that, having your Mount Holly awning washed is a far more economical alternative than replacing it. With over 9 years of pressure washing experience, Excel Pressure Washing uses only high quality awning cleaning products that will not damage your Mount Holly awning and make your awning look like new again. We will safely and effectively remove any mold, dirt, rust or bird droppings. We use soft water pressure to ensure the awning does not tear, scar or stretch. We will wash and seal your awning to ensure prevented damage from the sun’s UV rays, mildew and water. Call (704) 228-6674 for a FREE quote and let Excel Pressure Washing provide your awning with safe and effective awning cleaning services in Mount Holly. 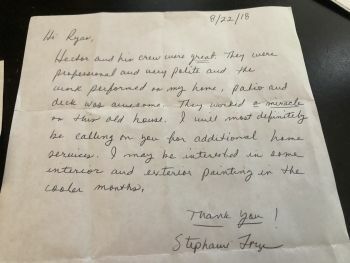 We will preserve and protect your Mount Holly awning for many years to come!